Last time I got back from holiday, I bought some Toblerone at the airport, I decided to copy Emma’s idea and use it to make some treats for the office. I chose a summery design, perfect for the warm weather we’ve been having recently. I only made the Toblerone cupcakes for the 1st time a few weeks ago and they are now one of my favourite flavours! The Toblerone fudge in the centre and the light fluffy Toblerone butter cream is seriously good, it’s well worth trying out this recipe. Click here to have a go at baking some Toblerone Cupcakes. I also made some Toblerone cookies and extra Toblerone fudge. The cookies are very quick and easy to do, click here for the recipe for the Toblerone Cookies. The decoration took some time, but mainly because I had 36 to decorate. Luckily I had some left over mini pink handmade sugar paste roses and a few other pink flowers which I used to top some of the cupcakes. 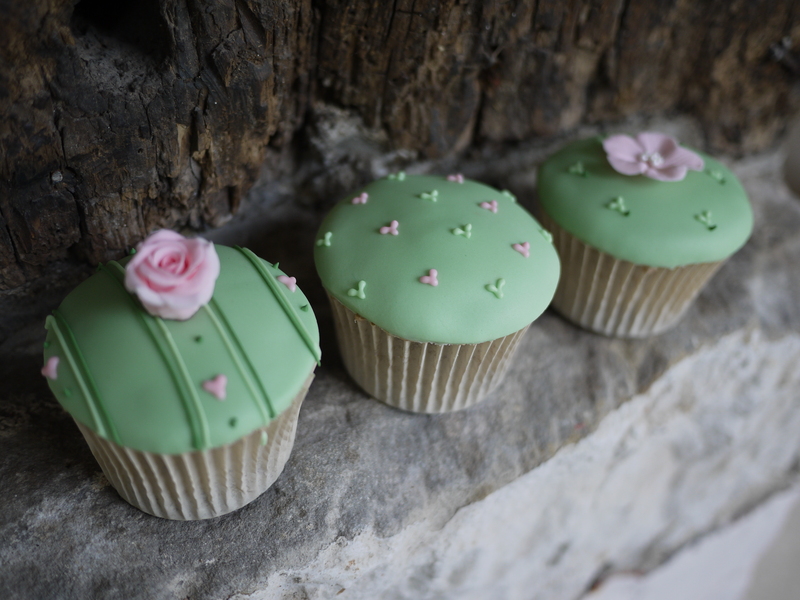 The butter cream was spread on top of each cupcake in a dome and put in the fridge to harden up a bit, before covering with circles of mint green sugar paste. 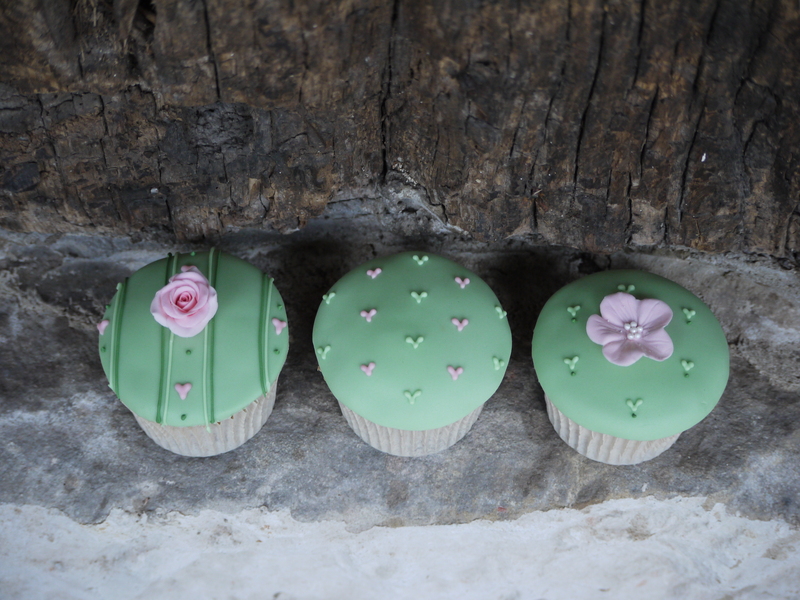 I then made up 3 piping backs of royal icing, one pink, one mint green and one dark green, all with Wilton No.1 nozzles on. 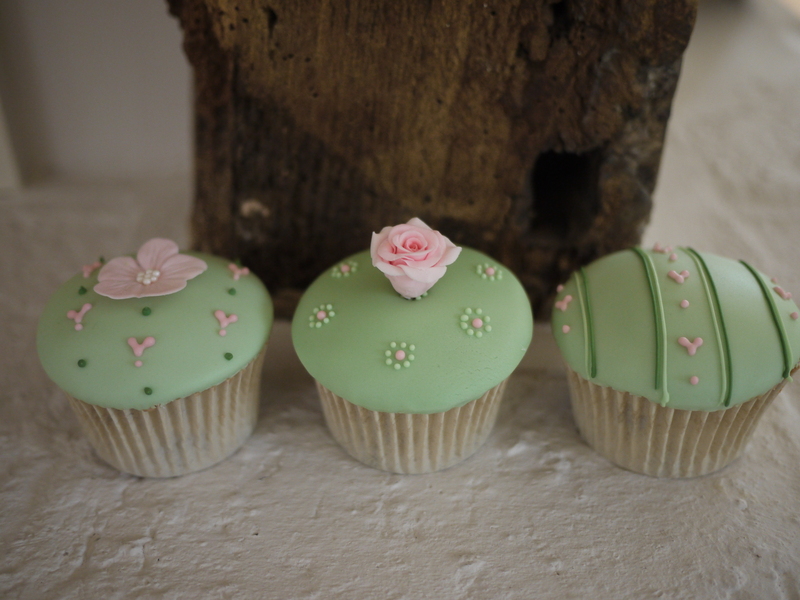 I used these 3 colours to create different designs on each cupcake. 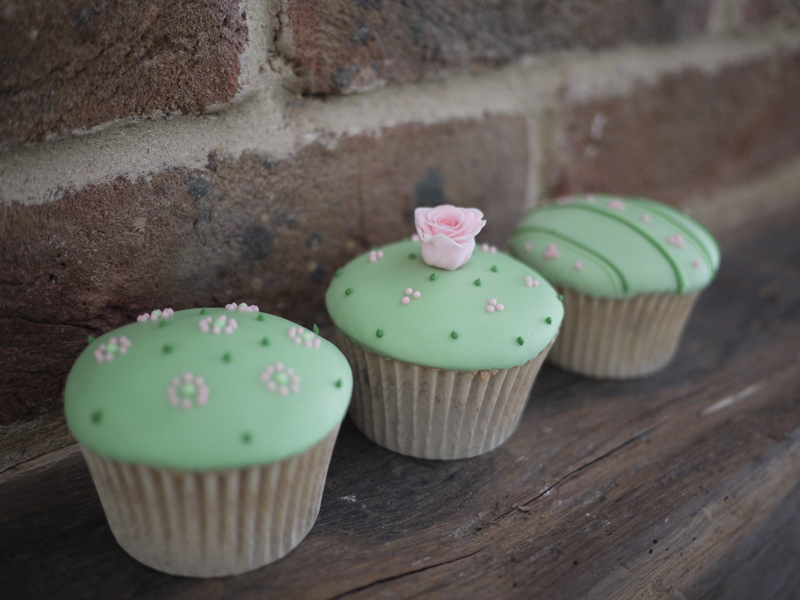 Finally I added the flowers to the middle of some of the cupcakes. All the goodies went down a treat at work. These are definitely in my top 10 cupcake flavours!